Munster champions, St Joseph's Secondary School, Tulla pictured after their final training session before the final. Photograph by John Kelly. A HUGE East Clare will journey to Ballyagran this Saturday for the Munster Colleges Senior B Hurling Championship final, in which St Joseph’s, Tulla will face CBC from Cork at 3pm. Beaten finalists in 2013, Tulla reached the quarter-final last year where they lost out to Newport, who were then beaten in the semi-final. 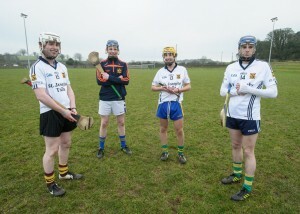 Brian Fahy, Conor Henry, Dermot O’ Brien and Darren Chaplin during a training session, Photograph by John Kelly. 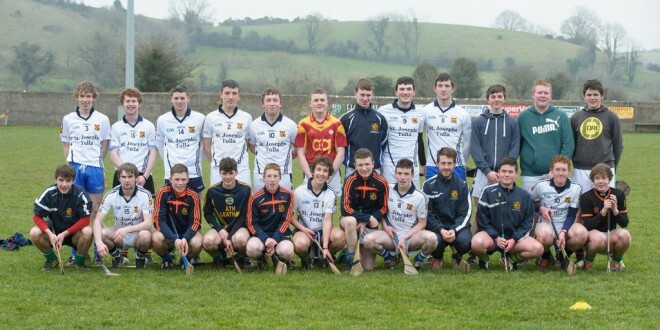 In the 2013 final, the East Clare side were unlucky to go out to Dungarvan CBS at Golden after extra time. The majority of that Dungarvan side were part of the Waterford colleges side that won the Harty Cup title that same year. This season’s captain, Evan McMahon, along with his Feakle clubmates, Con Smith, Stephen Conway and Martin Daly, and Broadford’s Darren Chaplin, played in that final and they will be hoping that the experience they have gained in the past two campaigns will be a key factor in helping them to get over the line this week. The Tulla school’s only other appearance in the final was back in 1981, when a team managed by John Stack and backboned by Feakle’s Val and Tony Donnellan, Tommy Guilfoyle, Donal McGrath, Tony Nelson, Mike Daly and the late John ‘Conor’ Tuohy were crowned champions. Others who featured in the ’81 team included Mike Corry and Seamus Cusack from Sixmilebridge; Sean McGrath, Martin McNamara, Timmy Hunt and Michael McNamara from Tulla, while the team was captained by Andrew Walsh from O’Callaghan’s Mills. In the provincial final, they beat Doon CBS and went on to beat St Vincent’s from Dublin in the All-Ireland final. For two members of the ’81 side, this Saturday’s final will hold a special significance. Mike Daly and Timmy Hunt both have sons in this year’s team. Martin Daly will play in the attack, while Hunt will fill the wing-back position that his father filled 34 years ago. The 26 players that make up the Tulla panel are drawn from eight clubs. 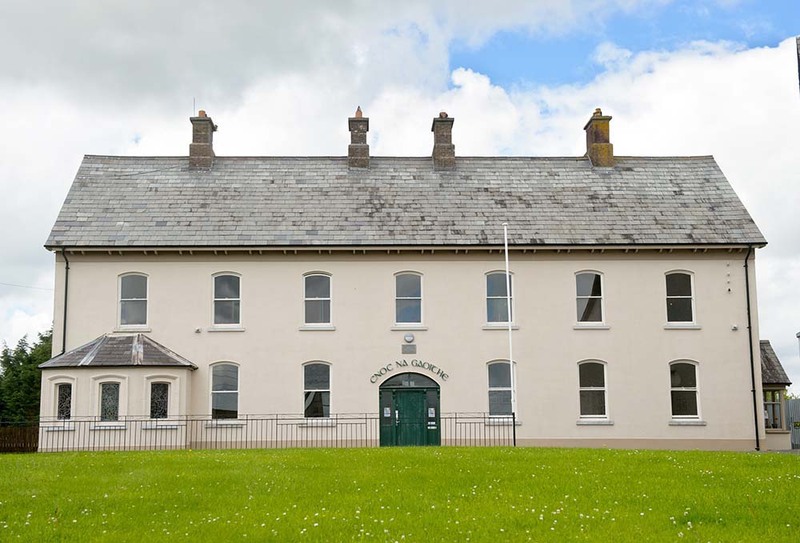 Feakle and Tulla each provide seven, with Broadford supplying five, O’Callaghan’s Mills with three, while Crusheen, Newmarket, Clooney-Quin and Bodyke each have one representative. Feakle’s Cathal Linnane, a defender in last year’s side, is out of action this season due to a cruciate knee injury. 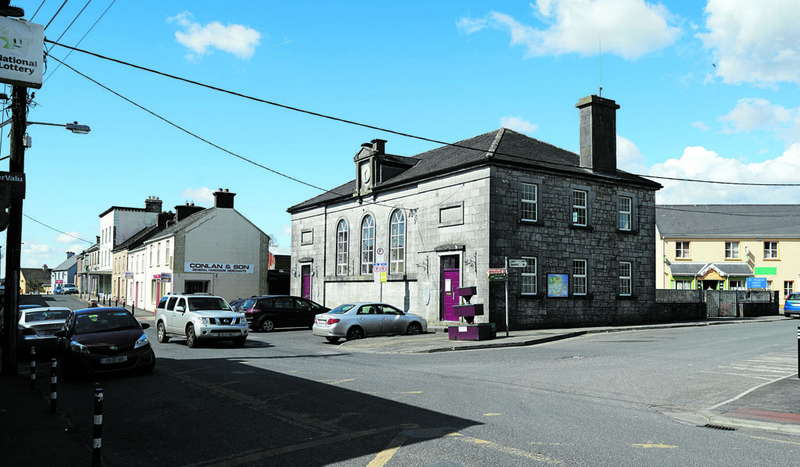 CBC, Cork, better known for their rugby successes, will provide the opposition this week. In the second of the semi-finals, played on Friday evening last at Cloughduv, they accounted for Coláiste an Spiorad Naomh by 2-8 to 2-7. According to Tulla mentor, Terence Fahy, the Cork team is a well balanced and physically strong side. Fahy from Whitegate and Inagh-Kilnamona’s Tomás Kelly are in charge of the St Joseph’s side and should have a full squad, with the exception of Linnane, available for selection. Stephen Conway returned for his first action in a number of months when he came into the game during the second half of their semi-final win over Coláiste Chríost Rí and the Feakle man is expected to challenge strongly for a place in the starting line-up this week. Team captain, Evan McMahon has recovered from the facial injury picked up in the closing stages of the replayed semi-final and he will lead the side. His Feakle clubmate, Con Smith is expected to continue at centre-back, with the impressive Brian Fahy from Tulla likely to again partner Enda Noonan at midfield. Darren Chaplin, Darren Cooney and Martin Daly are key members of the attack. The Tulla side has shown throughout this campaign that they have what it takes to be champions. In the drawn semi-final with Coláiste Chríost Rí, they refused to give up, even when the Cork side looked to be getting on top. That determination and the form they have shown throughout the campaign will go a long way to helping them to bridge a 34-year gap. The members of the Tulla panel are: Evan McMahon (captain), Con Smyth, Enda Noonan, Martin Daly, Stephen Conway, Austin McMahon, Fionn McGuinness (all Feakle); Brian Fahy, Shane Hunt, Owen Shanahan, Conor Dinan, Mathew Culloo, Kevin Conlon, Jack Lynch (all Tulla); Eoin Donnellan, Matthew Troy, Darren Chaplin, Diarmuid O’Brien, Jack Dillon (all Broadford); Killian Nugent, Conor Henry, Gary Cooney (all O’Callaghan’s Mills); Gavin O’Brien (Crusheen); Pa Duggan (Newmarket); Tadhg Shanahan (Clooney-Quin) and Adrian Healy (Bodyke).